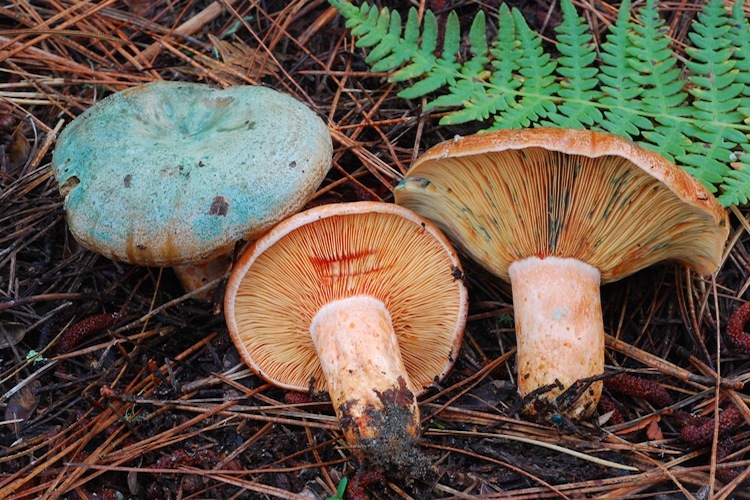 Lactarius comprises the sister genus to Russula, and in many respects the fruitbodies of this genus are very similar: all have attached or decurrent gills, brittle (often somewhat granular) flesh, and stout fruitbodies frequently with uplifted caps. 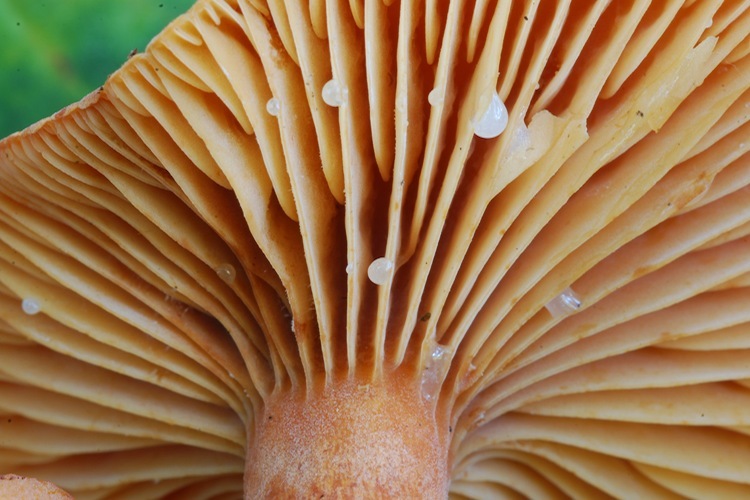 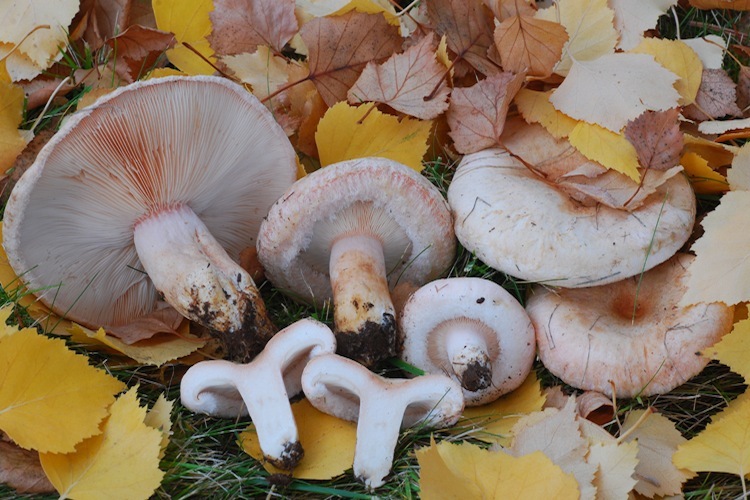 They are distinguished from almost all other mushrooms by the variably colored latex or 'milk' that leaks from their cut or broken tissues (for which they are named). 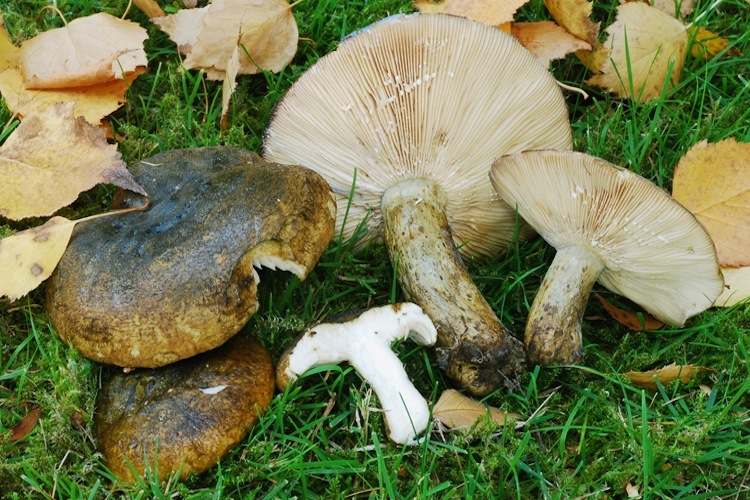 All are ectomycorrhizal, both conifers and hardwoods are hosts. 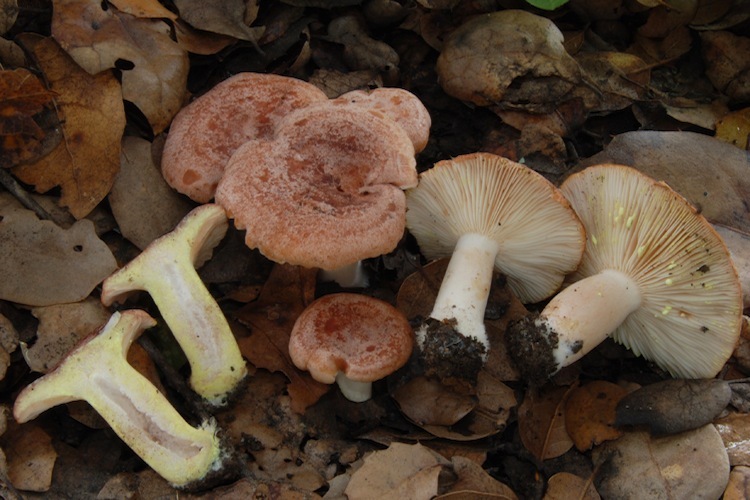 The genus is relatively well studied in the west, and most of the species in our area have good names. 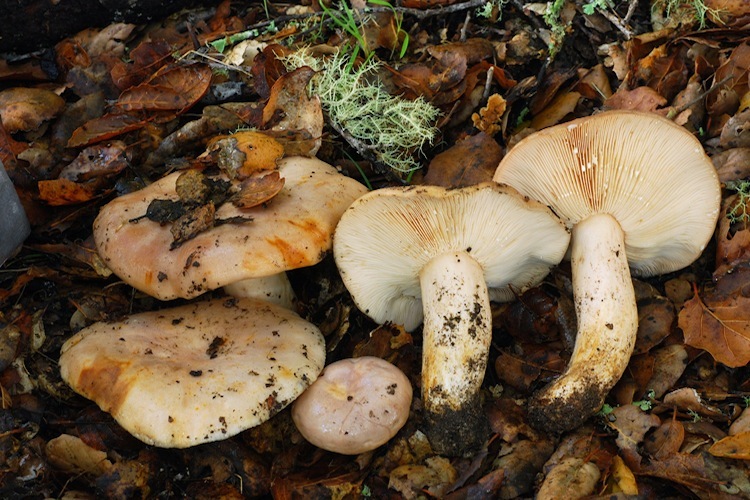 Some of the smaller species and those that occur in less-studied habitats (manzanita-dominated chapparal) need more study. 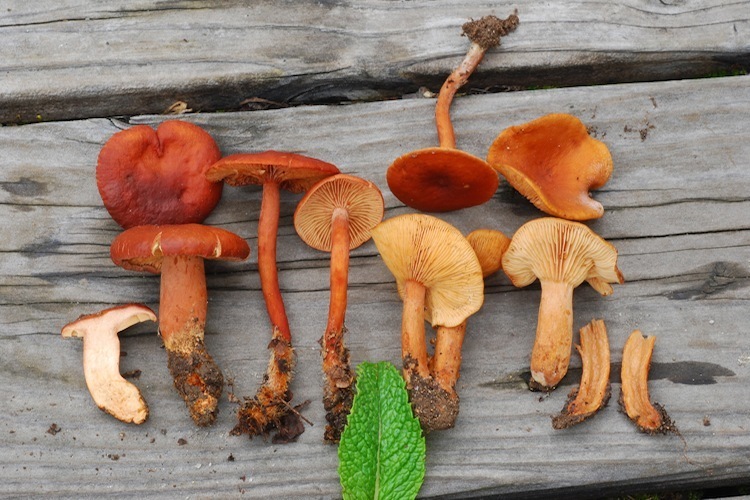 Many are edible and commonly collected, while others are unpalatable and others still are quite toxic. 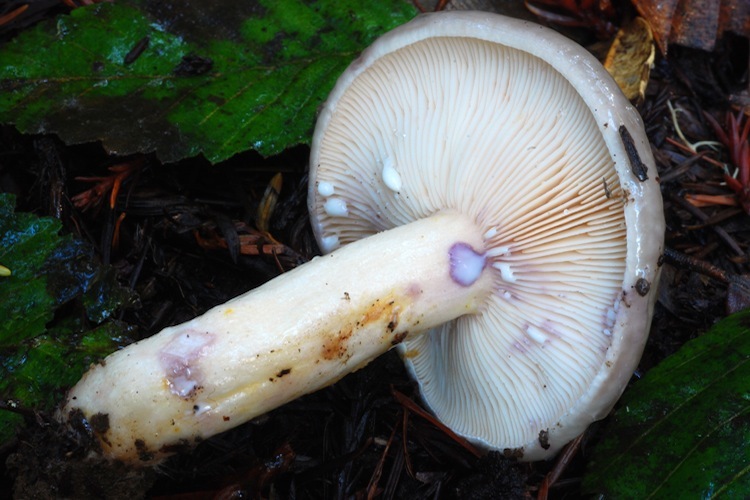 Important identification characters include overall coloration, color of the latex when the flesh is cut (as well as latent color changes of the latex), taste, and host tree/habitat.